Jantina de Haan once again goes Beyond the Song to talk with Richard Hyssong about “Choose Life,” from the album, “Believe.” Richard sings with his parents, Dell and Susan, in the popular trio, the Hyssongs. “Choose Life” is their recent radio single and its words resonate deeply with the group. We hope you enjoy this video of the Hyssongs singing, “Choose Life.” Thanks to Jantina de Haan for going Beyond the Song. 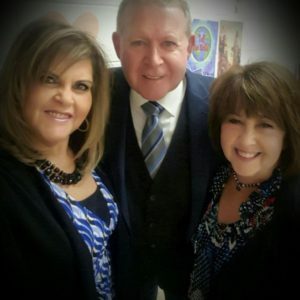 Dell and Richard Hyssong are the guests on Gospel Music Today for the week of October 28 and Ken and Jean Grady host southern gospel news and concert updates. 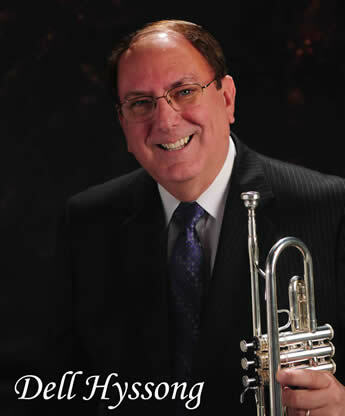 The Feature Group is Master Peace Quartet, and Jean reviews new recordings by Three Bridges and Steve Ladd. 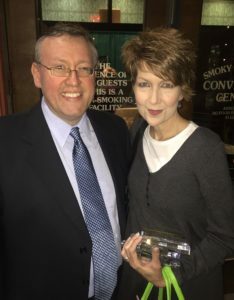 An article from Christian Voice magazine is the subject of this week’s News Notes and In the News this week are The McKameys, Lindsey Graham, Charlie Lucas and Sherry Anne. 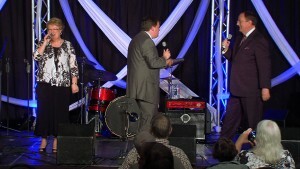 The show features a new music videos by Greg Logins and Revival, exclusive concert video of The Dixie Melody Boys, recorded by Gospel Music Today’s cameras in Memphis, TN, and a visit to the Gospel Music Today Archives for an exclusive video of The Lesters, recorded by Gospel Music Today’s cameras in Broken Arrow, OK. The show is on WATC TV57 in Atlanta, GA, every Saturday at 1:30 PM, and on Roku on FFE TV Monday at 8:00 PM and AllNations TV Tuesday and Wednesday at 6:30 PM. Check local TV schedule for Bruce, MS, Phenix City, AL, Pontotoc, MS, Beaumont, TX, Tyler, TX. Atlanta, TX, Morrilton, AR, Waycross, GA, and West Plains, MO. The current edition of Gospel Music Today is online now at the Gospel Music Today website, http://www.gospelmusictoday.com. 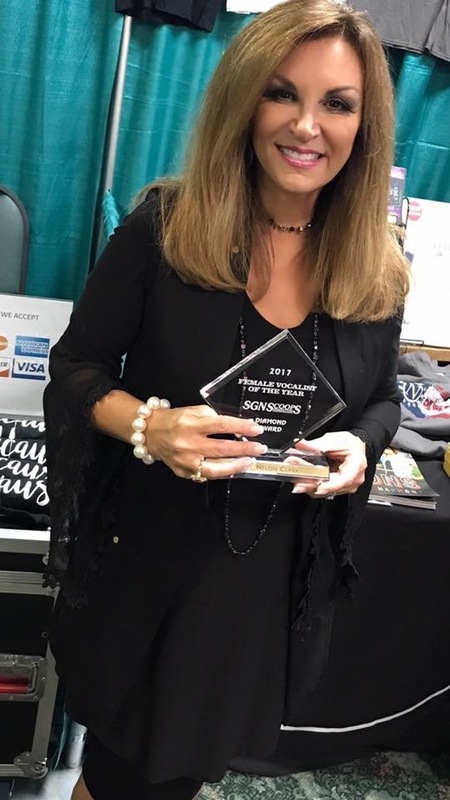 Orlando, Florida (June 6, 2018) –Recently, the 2018 Diamond Award Top 5 Nominations were released, and The Hyssongs were honored to be nominated in three categories. 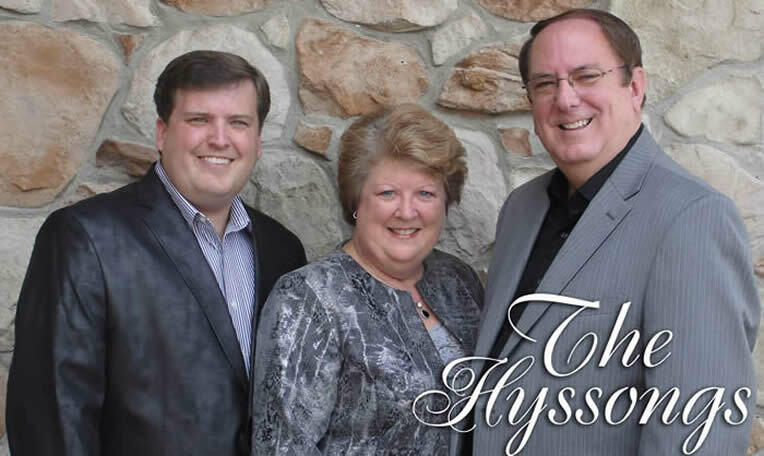 The Hyssongs have become one of the top trios in Southern Gospel Music. Over the last year, two of their songs: “Let The Hallelujahs Ring” and “I Tell Them Jesus,” both went to No. 1 on the radio charts. 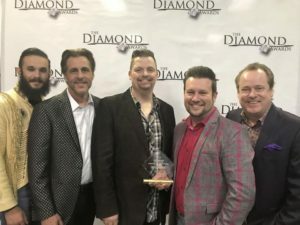 In 2017, the group was awarded the favorite Trio in the Diamond Awards held in Pigeon Forge, Tennessee. 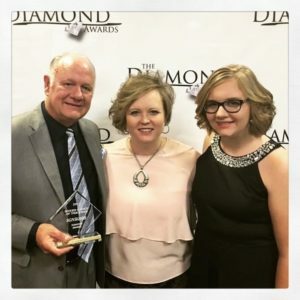 “We are humbled that so many would vote for our family in this year’s Diamond Awards. It was never our goal to win awards, but to rather win souls for Christ. 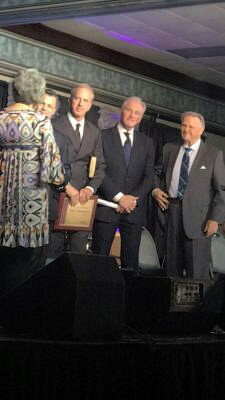 However, it is an honor for our family,” states Richard Hyssong. Favorite song – “Let The Hallelujahs Ring,” written by Kenna West and Lee Black. The Diamond Awards honor the best artists in Gospel music and are presented by SGNScoops Magazine. Voting is now underway; fans can go to sgnscoops.com to vote today. 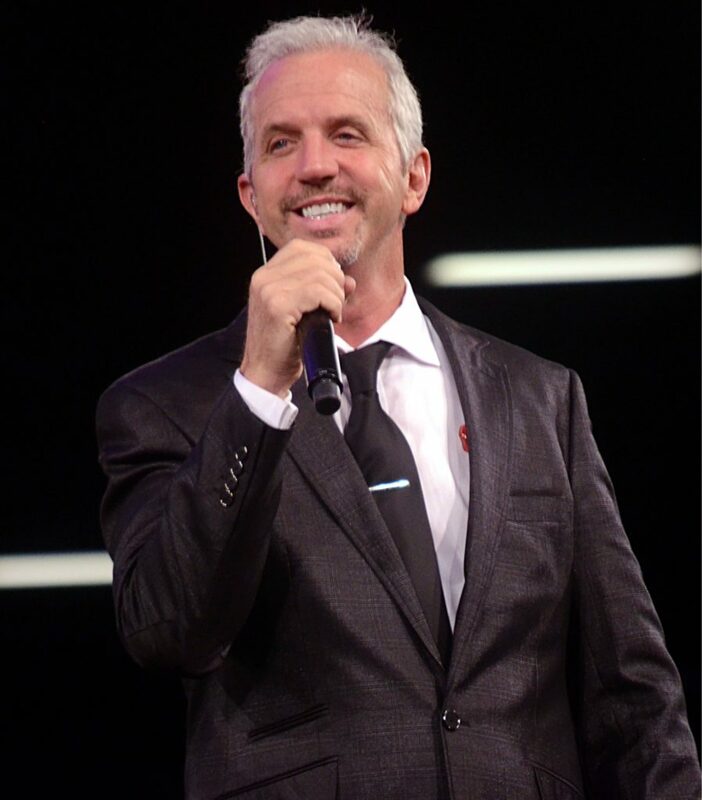 Carroll Cooke is a man on a mission, with a passion that is manifested by his actions and his love of gospel music. But when you get to know him, you will find out he just loves his family and everyone. He has never met a stranger. Gospel music is just one of his many interests. 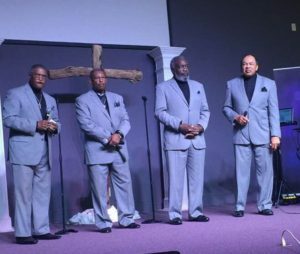 Over the years Cooke has been a singer, active church member, choir member, deacon, business owner, husband, father, and community leader. Each phase of his life has been fulfilled in so many ways. 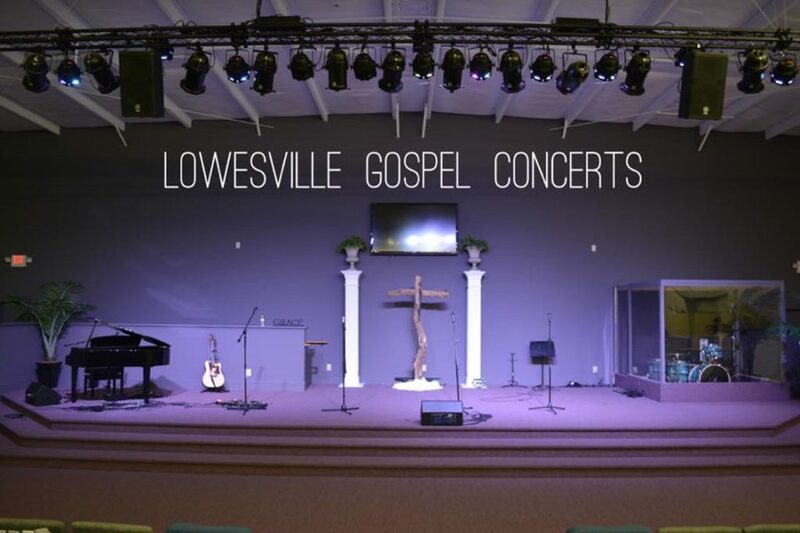 Yet in the last five years, his life has come into a richness that is being showcased in the small community of Lowesville, N.C.
His love of gospel music started at a young age. Cooke shares, “My dad (Roy A Cooke), mom (Lois Cooke), sister (now Hazel Sain), and I began singing as a quartet when I was six years old. We did this every weekend for about 15 years, then the next 40 years, I served as minister of music at different churches in and around the surrounding counties. I have only been trying to promote our music since late 2012. During those years, his family grew. He became a leader in the community and in the church while developing a successful business. Cooke operated the Lowesville Automotive Warehouse in the Lowesville community near Stanley, N.C. Upon his retirement in 2012, he sold the property to Living Word Ministries. the mature disciple can continue to grow and be inspired, in a shame-free environment. No attitudes or judgment found at LWM, just a church family that is excited about what God is doing in the community. 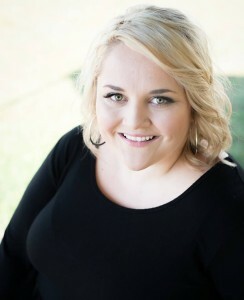 As the church grew, Cooke found a desire to reach the community in a new outreach: Saturday night Southern gospel concerts. 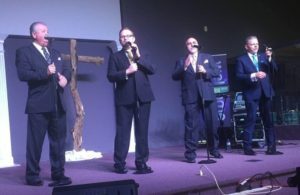 With the encouragement of Pastor Dellinger, Cooke started in January 2013 with concerts on the second and fourth Saturday nights of each month. That is 24 concert promotions each year. 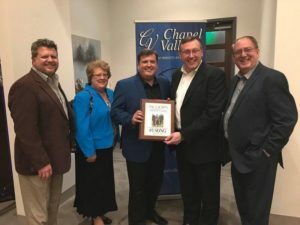 Sharps Chapel, TN — Chapel Valley was honored to host a celebration last weekend for The Hyssongs to honor their second consecutive #1 song on national charts, including the SGNScoops’ Top 100 for January 2018. “I Tell Them Jesus” was written and arranged by Chapel Valley President Shane Roark. Dell Hyssong shared, “We have sung many songs written by Shane. They have all been great, but by far, “I Tell Them Jesus” has made the most impact on our listeners. Guests of honor from all over the country attended this special dinner party to celebrate with The Hyssongs. Rob Patz, Publisher of SGNScoops and CEO of Coastal Media Group, presented the group with a plaque recognizing their No. 1 song in SGNScoops’ Top 100. Also attending was Vonda Easley, Advertising and Social Media head of SGNScoops, and owner of Hey Y’all Media. 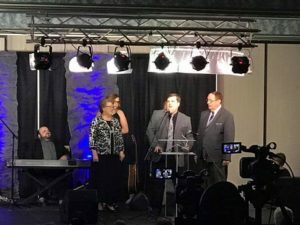 The Hyssongs’ previous radio single “Let the Hallelujahs Ring,” written by Lee Black and Kenna Turner West, topped the SGNScoops’ Top 100 in July of 2017. The Hyssongs have been singing together as a family for more than 21 years. They travel the United States and abroad sharing the Gospel, singing and playing their instruments for the glory of God. “This was an unforgettable evening and a joy to spend it with so many friends. We appreciate them coming and celebrating our #1 song with us,” said Susan Hyssong. Congratulations to Dell, Susan, and Richard Hyssong! 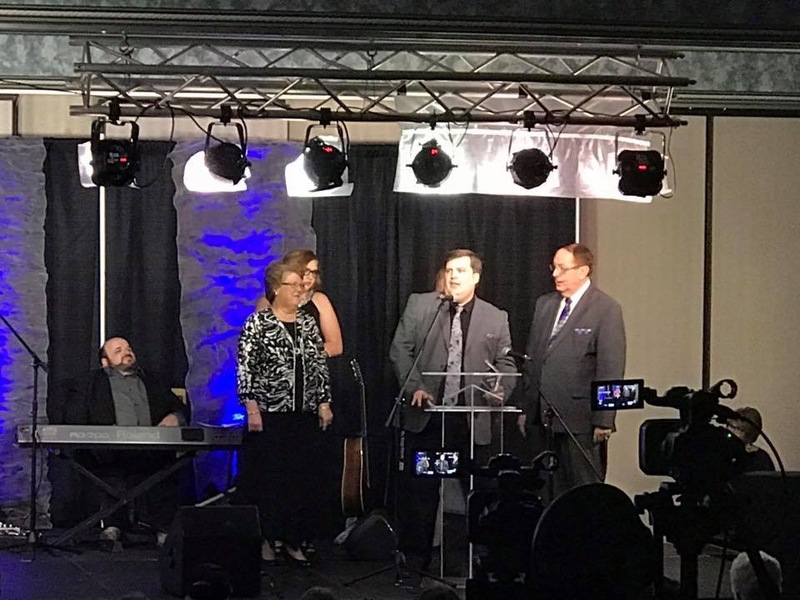 Pigeon Forge, Tenn. (November 2, 2017) — The Creekside Gospel Music Convention honoured many national and regional Gospel artists on Tues. Oct. 31. 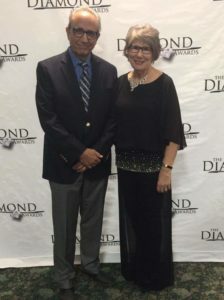 The 2017 Diamond Awards were hosted by Dr. Jerry and Jan Goff. Guest artists appearing during the evening included the Hyssongs, Wilbanks and Williamsons. Jean and Ken Grady from Gospel Music Today worked with Rob Patz, owner of SGNScoops, to produce the 2017 Diamond Awards. WATC TV from Atlanta, Georgia, filmed the event for a future special. Congratulations to each of the Diamond Award winners and nominees. The 2018 Creekside Gospel Music Convention and Diamond Awardsill be held Oct. 28 to Nov. 1, 2018 at the Smoky Mountain Resort, Pigeon Forge, Tenn. For more information contact event convener and Coastal Media CEO, Rob Patz at 360-933-0741. We are excited that the award-winning Hyssongs will be hitting the stage this year at Creekside! Dell, Susan and Richard have been traveling for 19 years as a full time family trio. 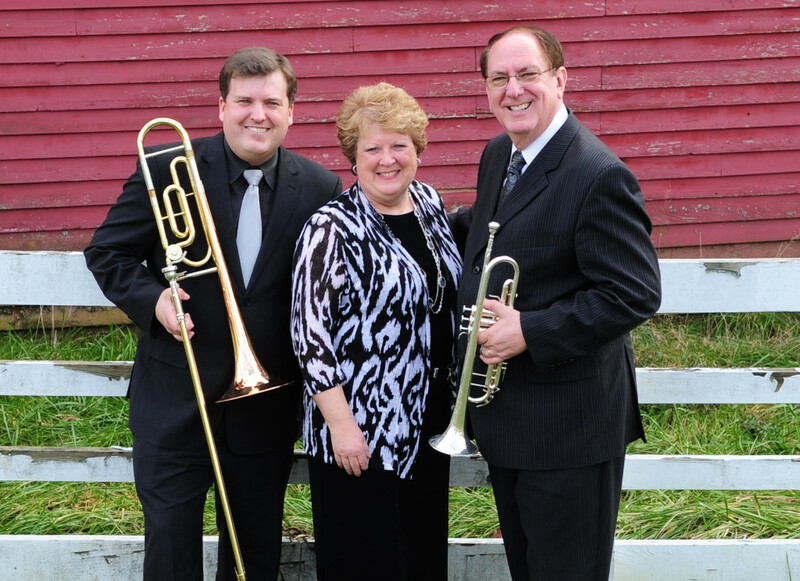 They not only have energetic family vocal harmony, but also add in brass instruments (trumpet and trombone) to engage the audience. 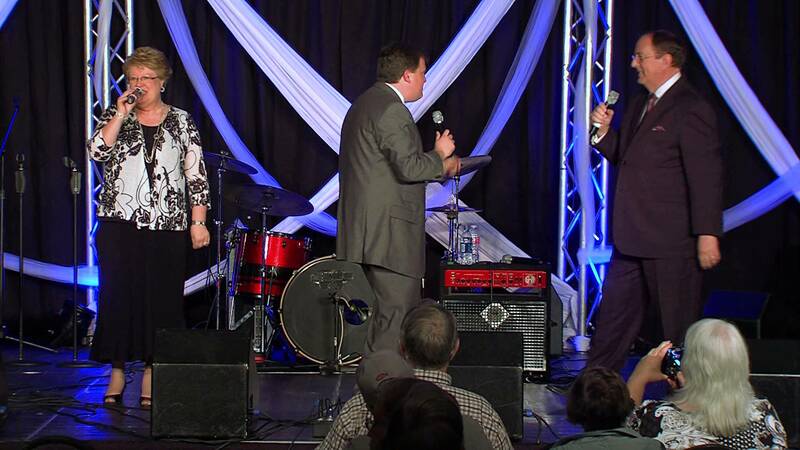 The group was awarded the Singing News Fan Award for 2014 Favorite New Trio at the National Quartet Convention in Pigeon Forge, Tennessee. 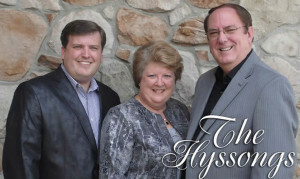 The Hyssongs’ songs are constantly hitting Southern Gospel radio charts. “I Was Blind, But Now I See,” reached number seven on the Singing News chart. The Hyssongs perform at more than 250 events each year, and this year we are proud to say Creekside is once again on their schedule. 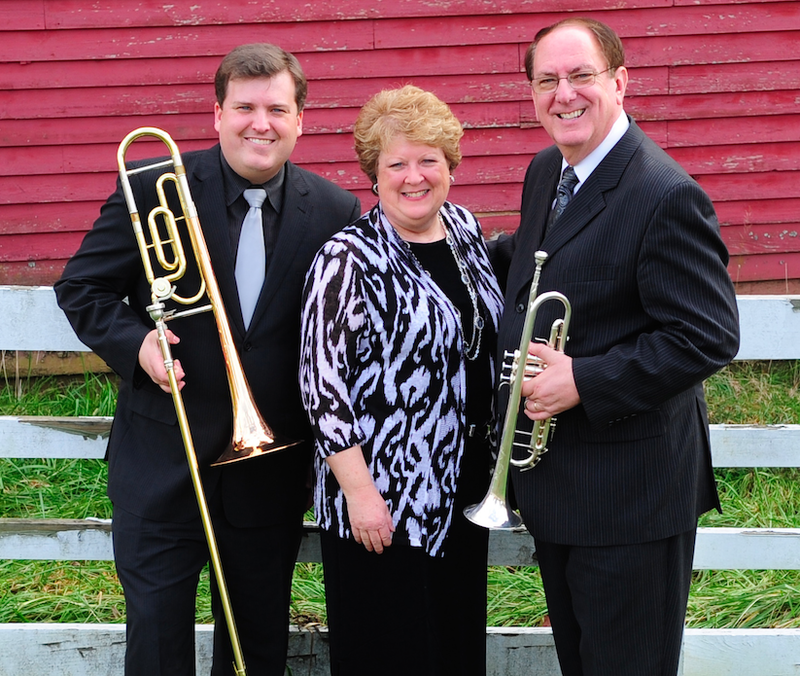 If you love family trios, you do not want to miss this spirit-filled group. SGN: What is your most memorable moment on stage? 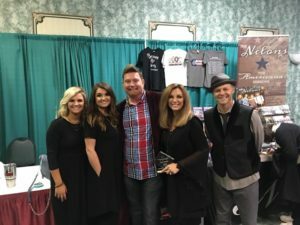 Hyssongs: Stepping onto the main stage at the 2014 National Quartet Convention for the first time and singing to 12,000 people was definitely a highlight and memorable moment for our family. It was the same stage we had received the Singing News fan award, “Favorite New Trio,” a few hours earlier that same day. 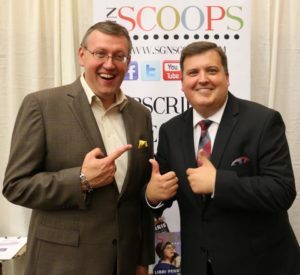 SGN: What draws you to the Southern Gospel music genre? 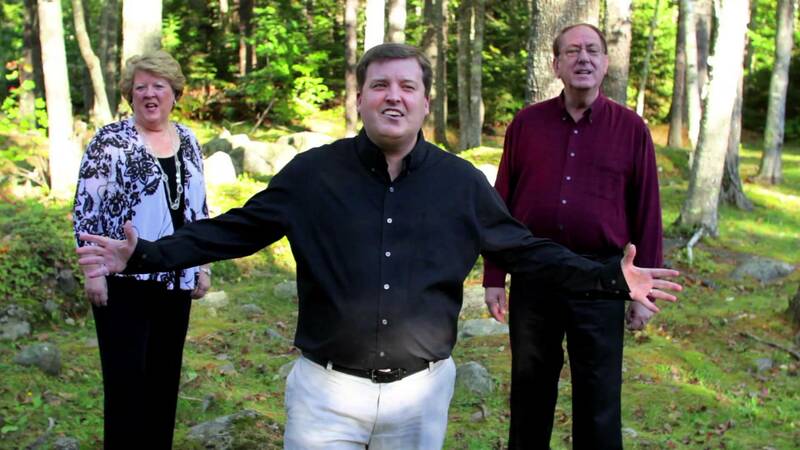 Hyssongs: We feel that Southern Gospel music touches people’s hearts like no other. Songs about God’s love, forgiveness, and His second coming, stir and challenge people and draw them to Christ. Southern Gospel music points people to their need for a Savior and encourages Christians to live a life that is honoring to God. There is no other genre that we would rather be singing. SGN: What is your favorite Bible verse and why? Two reasons for liking these verses are that the Bible tells us our singing and songs need be to the Lord. We don’t need to impress people; we need to please God. Secondly, we need to be a thankful people. We are thankful and praise God for all things. We especially praise Him for allowing us to sing the greatest music in the world! 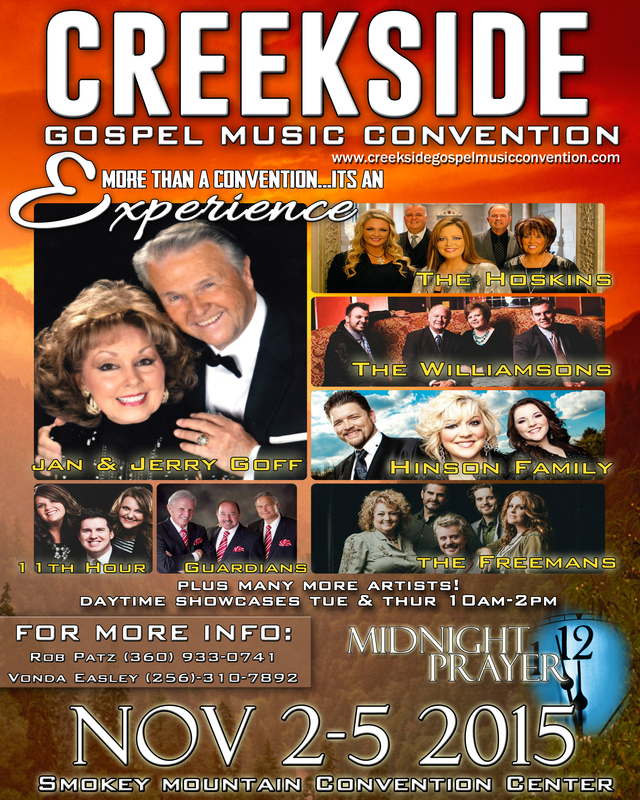 Don’t miss the Hyssongs‘ appearance at Creekside Gospel Music Convention! There are still a few Creekside tickets remaining, but these must be reserved as soon as possible. Please make your plans to join us in Pigeon Forge, Tennessee on November 2nd through 5th at the Smoky Mountain Convention Center. Keep watching our website and Facebook page for more exciting announcements. Creekside Gospel Music Convention is held at the Smoky Mountain Convention Center www.smokymountainconventioncenter.com. For more information, latest news and artists scheduled to appear, visit the Creekside website here: creeksidegospelmusicconvention.com or our page on Facebook here: www.facebook.com/Creeksidegospelmusicconvention. 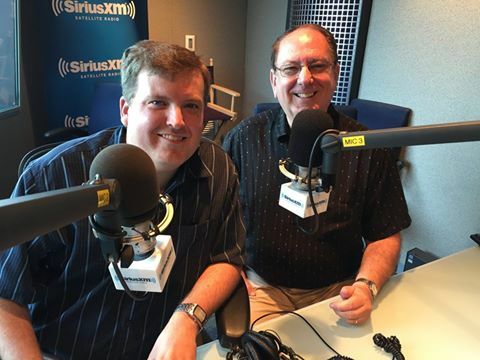 Sharps Chapel TN – The Hyssongs are excited to be hosting an “Enlighten Album Spotlight” on Sirius/XM. 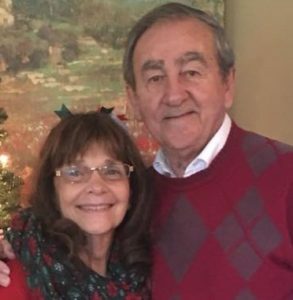 Richard and Dell Hyssong will be featuring all the songs on their new CD, “Believe”, as well as share quick insights and testimonies. Sunday at 12:00 pm, Tuesday (8/11) at 6:00 pm, and Wednesday (8/12) at 11:00 pm. All times are in Eastern Standard. the month of August they will be singing in over 22 places including the popular Silver Dollar City. calling Michael Davis at the Dominion Agency – 828-454-5900. This week on SGN Scoops we have focused on Prayer. We hope that what you have read has encouraged you to spend more time talking to our Heavenly Father. Today we have two more Prayer features. Please be sure to let these artists know that you have read their comments. I believe that prayer is the key to moving the hand of God. The Bible clearly tells us that often we have not because we ask not. I can not imagine starting or finishing the day without prayer. Our family often stops during the day to ask God’s wisdom, guidance, direction, and blessing. The Hyssongs gather in our motor home before a concert to pray. When Richard’s daughter was born six-and-a-half years ago with more than 22 tumors in and around her heart and multiple brain tumors, the doctors told us she would probably not make it and if she did she’d never walk or talk. We prayed and friends all over the world prayed. A book I wrote is being released this week entitled, Makayla’s Heart Moment by Moment. Get a copy and read for yourself how God answered prayer. Everyday we see the hand of God working in our midst. Our Lord who healed the deaf, gave sight to the blind, and caused the lame to walk again, still hears and answers prayer today. I love praying in the car while driving to work, or to sing, to church, or anywhere! It makes me more aware of the things around me and makes me feel safer. One of my biggest prayers was answered in my car as well! One day I was crying and having a meltdown while driving home because I needed a sign from God that I was doing what He wanted me to do regarding a particular situation. I was crying so hard that I pulled over and parked the car because I couldn’t see to drive, and after a few minutes of tears and crying out to the Lord, I looked up in the sky and saw that the rain clouds were drifting away and a big beautiful rainbow was stretched across the highway. I’ll never forget that for as long as I love. The rainbow is one of Gods majestic signs, but that day it was also very personal to my heart.